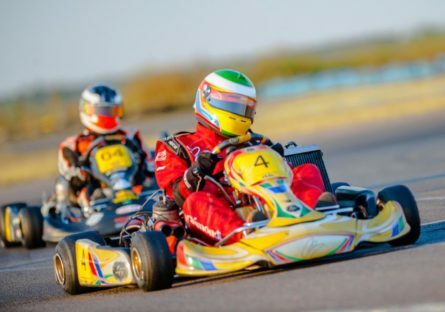 After sightseeing in the Eternal City, let your family blow of steam by making a short trip outside Rome for some fast and furious go-karting action. This activity is the perfect way to balance the art, history, and culture of Italy with the fast-paced excitement of an active excursion. Italy’s Best provides the perfect Rome go kart experience by bringing your family to Artena, historic in its own right as a stronghold in medieval times. The entire village is built upon ancient fortifications and provides sweeping views of the countryside. Your family will take turns on this outdoor track, reserved just for your family to enjoy some racing fun. Everyone in the family will have a chance to take their turn on the racetrack under the guidance of experienced technicians, who will provide you with a safe and fun experience. You can choose to add lunch in the area of Castelli Romani excluded in the fee. During this Galleria Doria Pamphilj private tour, your guide will share masterpieces by Titian, Raphael, & Diego Velazquez in this magnificent collection.